Speaking of interesting word websites – here’s another! Forvo is an audio pronunciation database which aims to have every word in every language (yes, even swear words and slang) pronounced by a native speaker. It looks like it’s already most of the way there for the more widely spoken languages – at least any random thing I tried in English, Spanish, German, Italian, and Japanese was available. The interface is presented in multiple languages, but any word in any language can be queried from any of them without needing to specify the language of origin. Words not natively in Roman characters can be searched for either in the native script or their Romanized versions (e.g., 犬 or inu). Common words also tend to have multiple pronunciations to listen to, phrases with the word, and translations to other languages as well. If you’re a native speaker of a language whose word is not yet included, or is not pronounced to your satisfaction, you can help Forvo out by submitting your own words and pronunciations. Give it a look (and listen) at http://forvo.com – it’s pretty neat! What three words could unambiguously identify where you are right now? A question you probably didn’t ask, but was nevertheless answered by U.K.-based organization what3words in their efforts to create a universal addressing system for the world. There are several disadvantages, however, even aside from the obvious one of adoption. The sequences are meaningless in isolation, and there’s no relational information built in; if you’re familiar with an area, the street name of a conventional address will at least give you a general idea where something is, but the real slinky.little.fox is not even on the same continent as, say, slinky.little.ferret. The order of the words also matters (slinky.little.fox and little.slinky.fox are entirely different places), but so does the order of numbers, which are still easier to mix up. Not every sequence flows together nicely as a phrase, but with a grid of this resolution you’ll have several to choose from on a typical plot, and so are likely to find one that’s snappy enough. Finally, discovering the name of the square you’re in or the location of another given sequence requires the use of a computer or mobile device of some sort, which is not as conducive as it could be to the places where this could be the most beneficial. If you missed it earlier this week, check it out in all its perfection below. 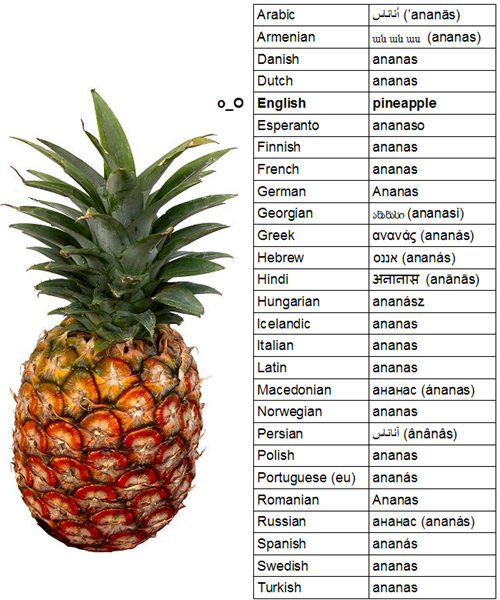 Although, to be fair, ‘ananas’ is also a perfectly valid English word for what we usually call the pineapple. And Spanish speakers are more apt to call it a piña. …and let’s not forget languages like Japanese that are perfectly happy to say パイナップル (PAINAPPURU!!!). One of the most important benefits of language is that it fosters the organization of thought. One of the most interesting things about the study of language in its many forms is what it tells us about transcultural psychology. For instance, do you know what is perhaps the most widely disseminated term in a given language? Gracias. Grazie. Merci. Danke. Arigato. I’m willing to bet that the majority of you native English speakers could tell me not only what that means, but also the language to which each of those words belongs. I bet many of you have even used one or two for fun in an otherwise English conversation. And yet, I imagine most of you couldn’t tell me off the top of your head what the word for ‘I’ is in those same languages. That says something kind of nice about what we at large have felt is most important to be able to convey to our fellow earthlings, don’t you think? 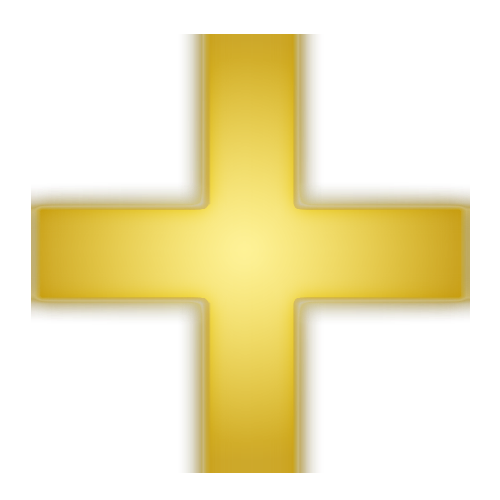 Bene scribete, et gratias vobis ago. Saw this…thing…in the store the other day. “Hot (h)wezz”? What…why would anything be called that? It sounds like, well, Spanish slang for something filthy. What—what does it mean? I have a habit of taking pictures of weird products, so I did just that. 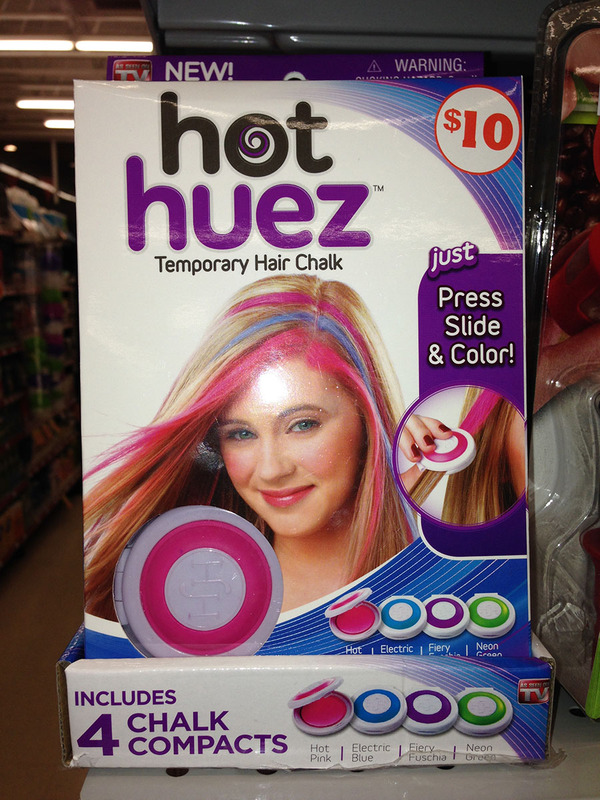 Then, when sharing my photographic incredulity with others, I was promptly informed that it was “hot hues”…just, you know, spelled stupidly. Ohhhh. …that’s not nearly as funny. Anyway, the moral of the story is: don’t spell things stupidly, or they might end up sounding…let’s say…implicitly unsavory.